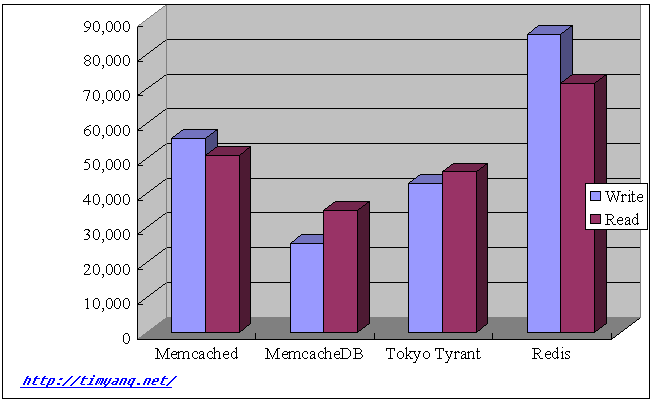 MemcacheDB, use memcached client protocol. dbname=”$basedir/casket.tch#bnum=50000000″ # default 1M is not enough! 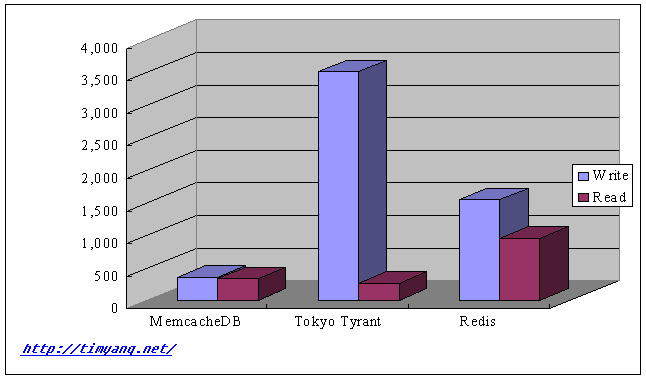 JRedis client for Redis test, another JDBC-Redis has poor performance. Test 1, 1-5,000,000 as key, 100 bytes string value, do set, then get test, all get test has result. Test 2, 1-500,000 as key, 20k bytes string value, do set, then get test, all get test has result.